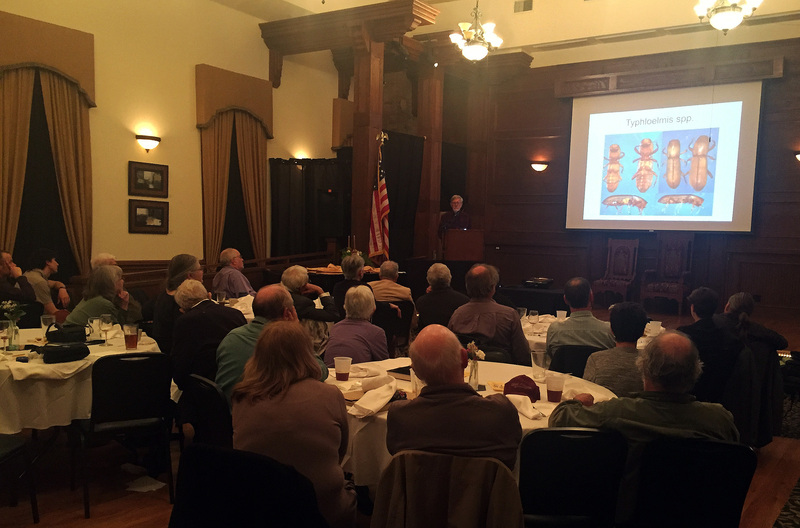 KWI looks forward to seeing you at the Awards Dinner to celebrate Wil’s award, hear a presentation by Wil on his work and adventures, and enjoy an evening of conversation and companionship with fellow scientists and friends. Please make your dinner choice by submitting the RSVP form: click here. For instructions on how to pay by credit card without a PayPal account, click here. A native of the Shenandoah Valley of Virginia, Wil Orndorff drank karst water while looking for caves on the family farm where he was raised, as well as within and around the adjacent abandoned quarry. 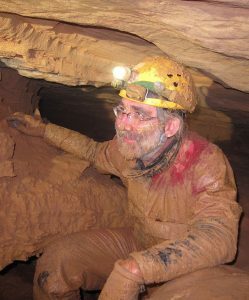 Introduced to the formal caving world at the age of 18, his interest in caves, karst waters, and geology grew into both a career and a life-long passion. 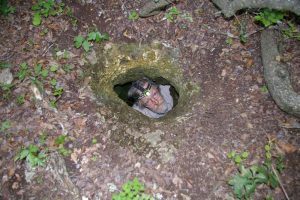 With a bachelors degree from Johns Hopkins and a masters in geology from Virginia Tech focusing on Appalachian tectonics in hand, Wil entered the professional karst world as a self-employed consultant performing karst analyses of the potential impacts of a proposed high voltage power line corridor on karst springs and bat habitat along its path. These analyses included multiple dye traces in cave systems developed in the limestones of middle Ordovician age that host many of Virginia’s larger cave systems. This work gave Wil the credentials needed to secure his dream job as a karst specialist with the state, where he became Virginia’s second karst protection coordinator when Terri Brown, his supervisor, returned to graduate school, leaving large shoes to fill. This job became Wil’s career, and afforded him the opportunity to do the work he loved protecting the resources he cared about. 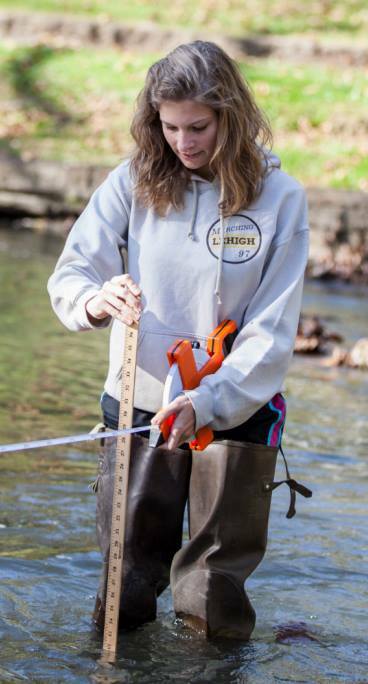 The nature of the job turned Wil into a jack of all trades karst who wears many hats: geologist, hydrologist, conservationist, educator, explorer, and, increasingly, biologist. Wil has had the opportunity to work with a long list of experts across this spectrum, including among many others John Holsinger, Dave Culver, Dan Doctor, Dave Hubbard, Jim Kennedy, Mike and Andrea Futrell, Phil and Charlotte Lucas, Chris Hobson, Roy Powers, Matt Niemiller, Bill Balfour, Larry Smith, Rick Reynolds, Carol Zokaites, Bob Denton, Tom Malabad, Joel Maynard, Shane Hanlon, Joey Fagan, Jerry Lewis, Madeleine Schreiber, Mike and Katarina Ficco, Dan Fong, Karen Powers, and of course his wife and partner in crime, Zenah. One of the most satisfying parts of his career has been seeing folks who worked with him while in college or graduate school like Ben Schwartz and Ben Hutchins achieve great success in the academic karst world, albeit in Texas for those two. Wil has authored or coauthored papers on dye tracing, karst aquifer dynamics, site occupancy by stygofauna, epikarst recharge processes, speleogenesis,conservation planning, utility corridor evaluation, ecology of Gray bats, response of bat populations to White Nose Syndrome, and biogeography of cave invertebrates. His work has resulted in the establishment of two natural area preserves protecting significant caves, and additions of several tracts containing significant caves to existing preserves. Through the VA DCR Office of environmental project review, Wil has helped to avoid or mitigate impacts to hundreds of caves with the help of the Virginia Speleological Survey, with whom he is a director at large in his spare time. Wil’s current projects include the hydrology of ebb and flow karst systems, dynamics of the phreatic aquifer of the Shenandoah Valley, use of the landscape by Gray bats, revision and development of natural community definitions for karst systems, Cenozoic landscape evolution in the central Appalachians, and the biological inventory of Virginia’s designated significant caves. Wil lives in Blacksburg, Virginia with his wife Zenah, in a home frequently visited by their two grown daughters Travertine and Naomi, as well as the usual caver riff raff. The William L. Wilson and Diane C. Wilson Scholarship in Karst Science recognizes the significant contributions of the late William (Bill) L. Wilson, who tackled some of the most difficult karst science questions in Florida and elsewhere through his consulting company, Subsurface Evaluations, Incorporated. 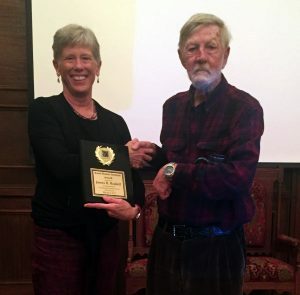 To stimulate the development of new, energetic, motivated, and creative karst scientists and to remember Bill Wilson and his dedication to karst science, the scholarship was established by Diane C. Wilson in his memory. The scholarship includes a one-time award of $1,000. The scholarship is open to any student who is currently enrolled in, or has been accepted into, a master’s degree program at an institution of higher education in the United States. This year’s deadline for all application materials is February 1, 2019. 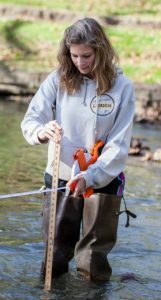 Information on how to apply can be found at the Karst Waters Institute website Wilson Scholarship Page. Additional information can be had through email to Dr. Janet S. Herman (jherman@virginia.edu). The William L. Wilson Scholarship in Karst Science was established in 2002 to recognize the significant karst science contributions of the late William (Bill) L. Wilson. 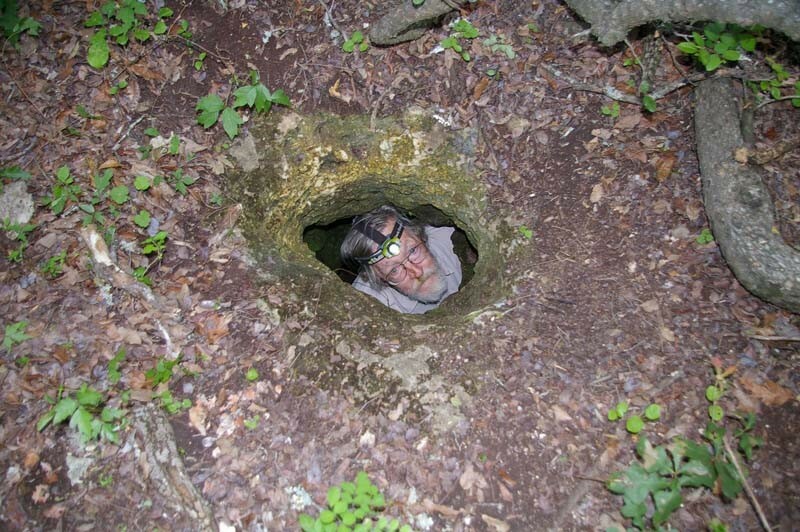 Bill Wilson used a variety of techniques, and unusual creativity, to tackle some of the most difficult karst science questions in Florida and elsewhere. He developed a leading karst consulting company in the United States, Subsurface Evaluations, Inc. To stimulate the development of new, energetic, motivated, and creative karst scientists, and to remember Bill Wilson and his dedication to karst science, the scholarship has been established in his memory. The scholarship includes recognition at the KWI spring banquet, a plaque naming the awardee, and a one-time award of $1,000. Completed applications are due by February 1, 2017.